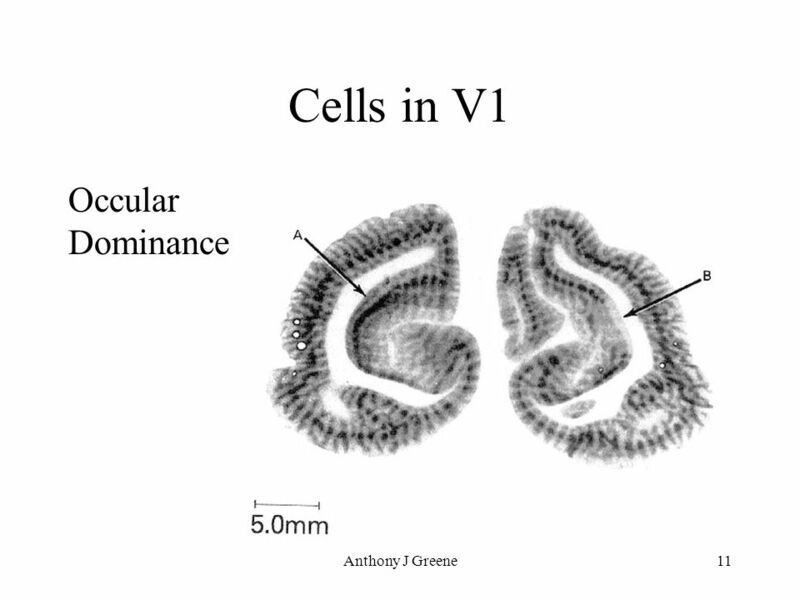 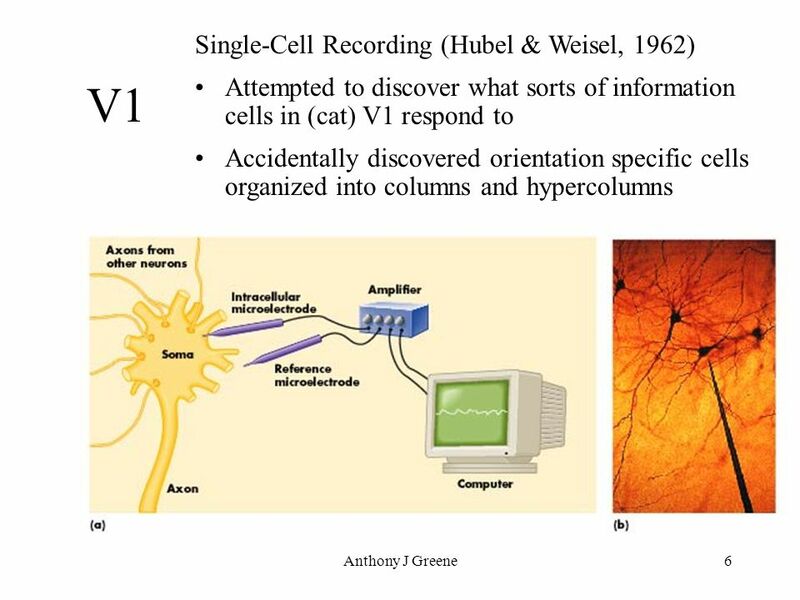 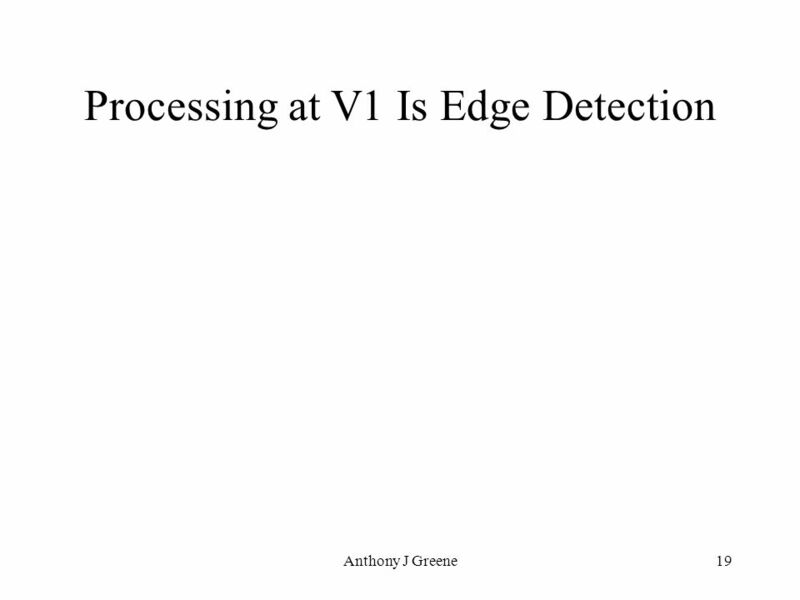 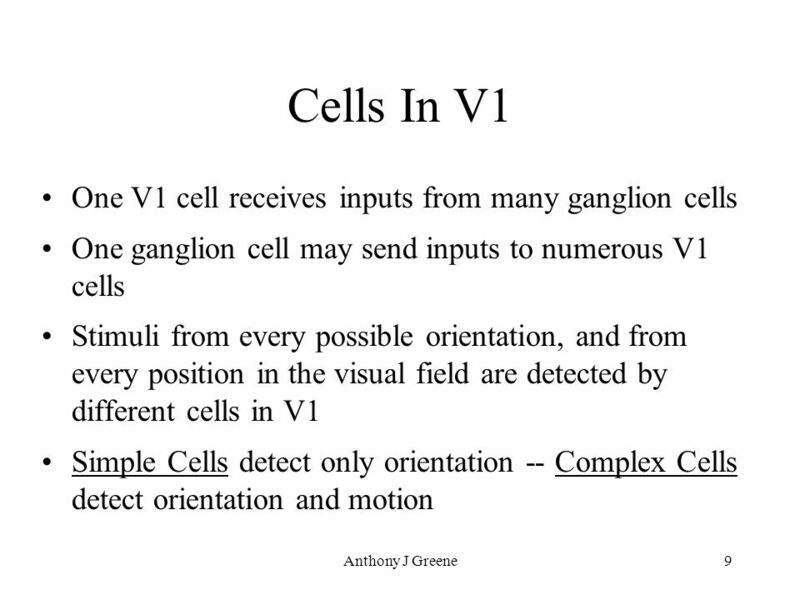 15 Anthony J Greene15 Organization of Cells in V1 What sort of information are these cells detecting? 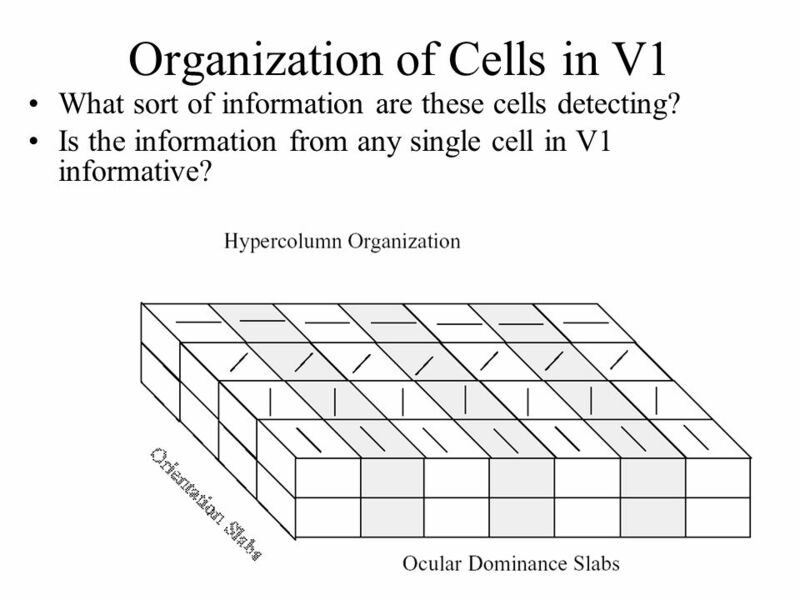 Is the information from any single cell in V1 informative? 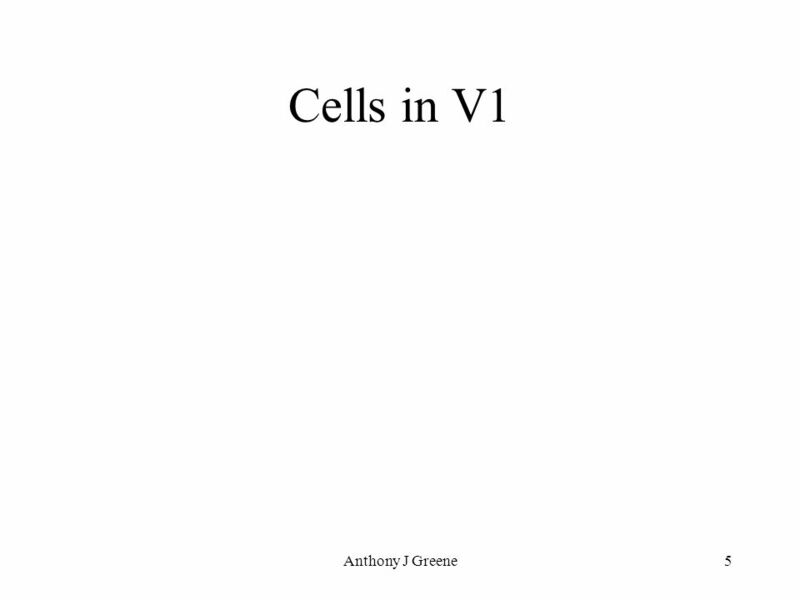 40 Anthony J Greene40 Color at V1 Among cells selective for orientation are patches of cells selective for color (and not orientation), which are known as Blobs. 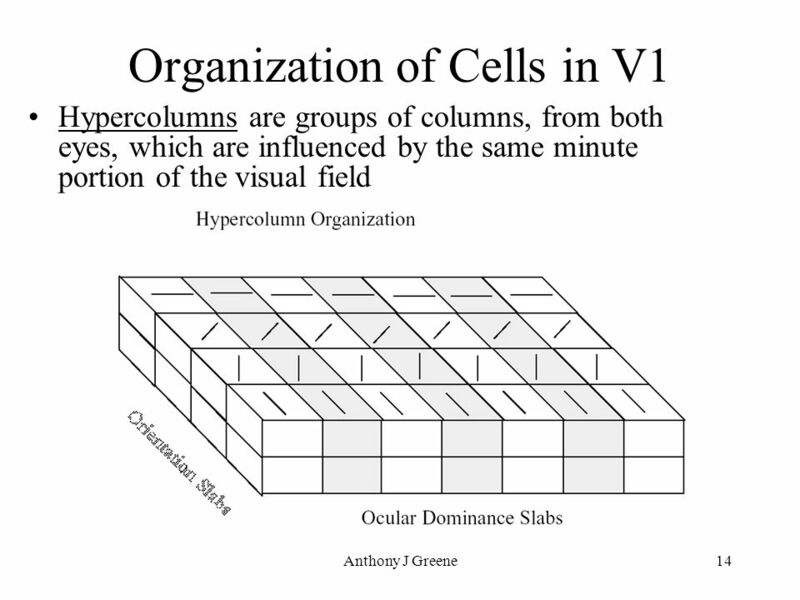 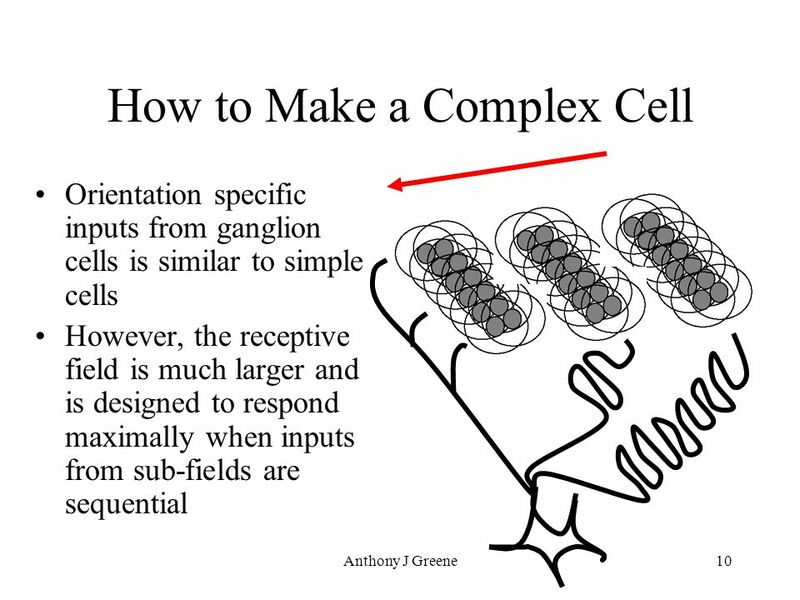 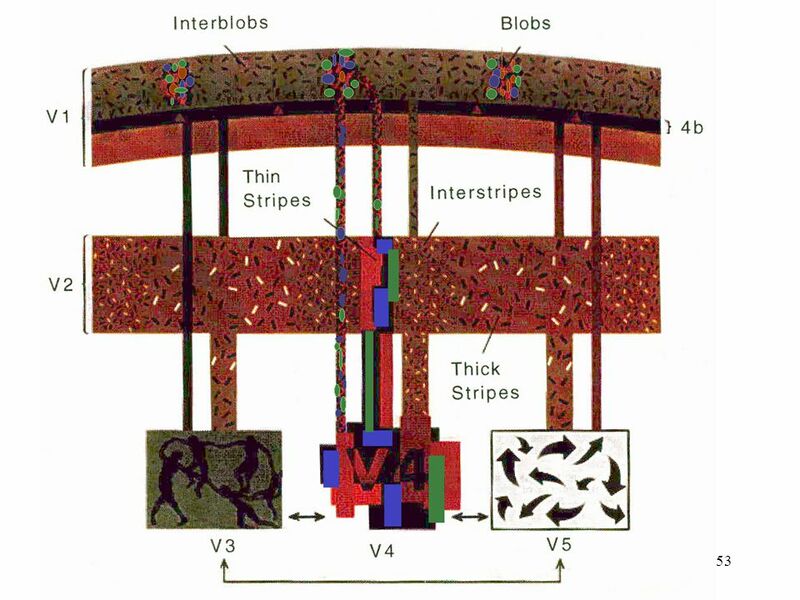 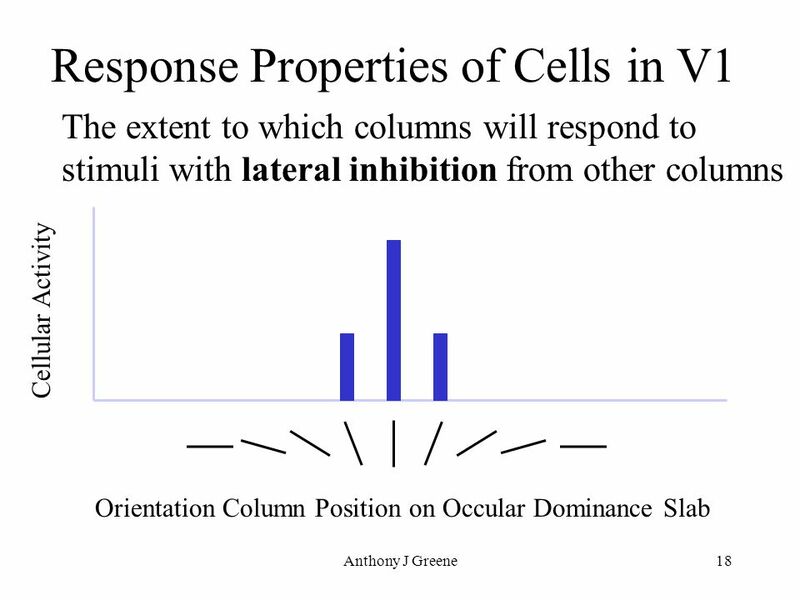 Other cell (orientation specific cells) regions are known as interblobs. 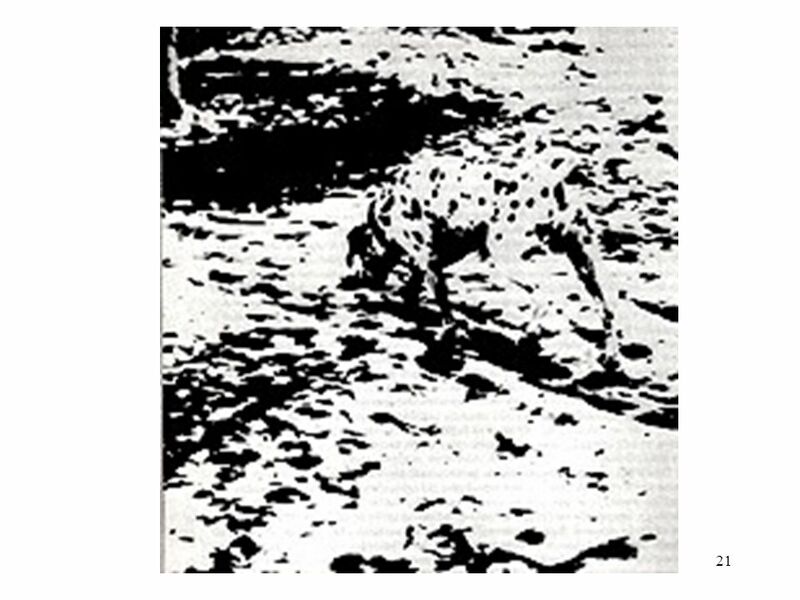 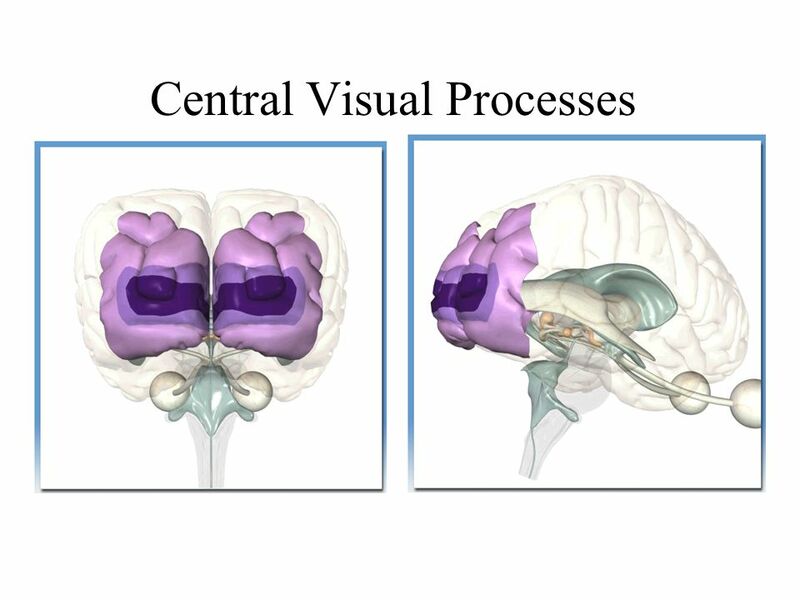 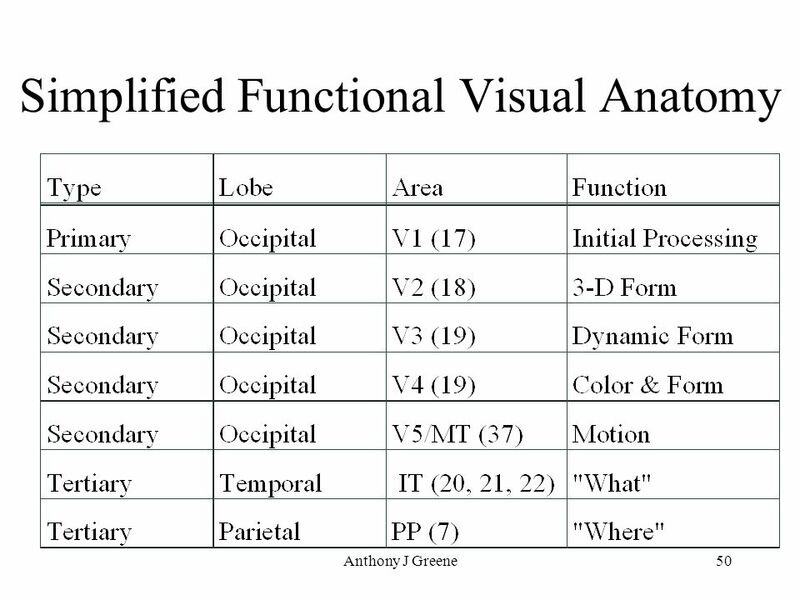 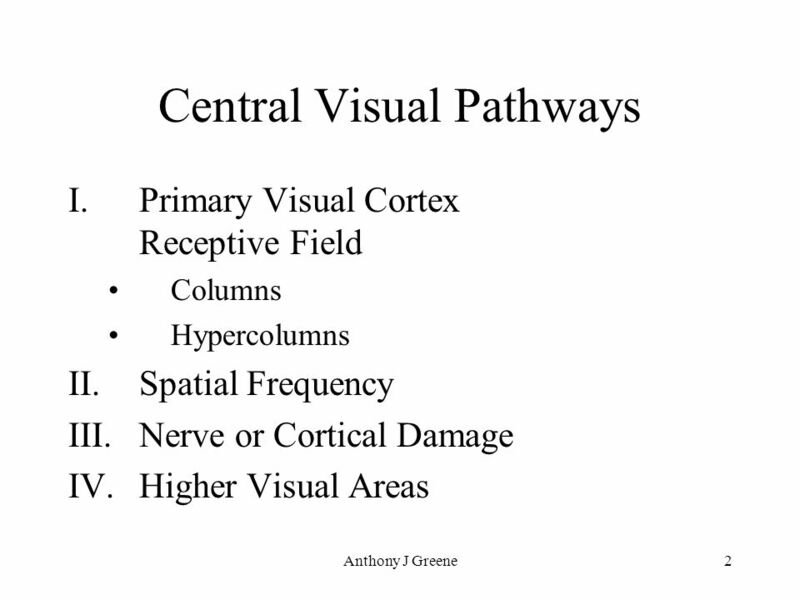 Download ppt "Central Visual Processes. 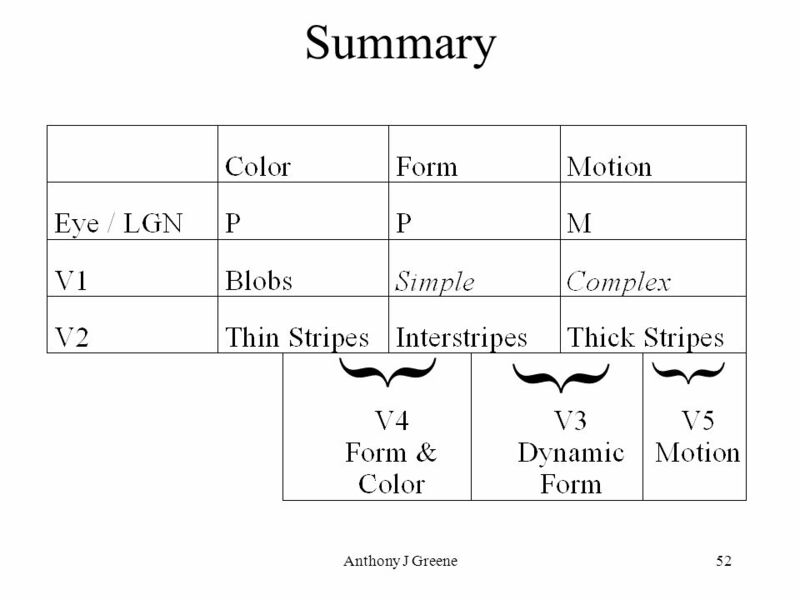 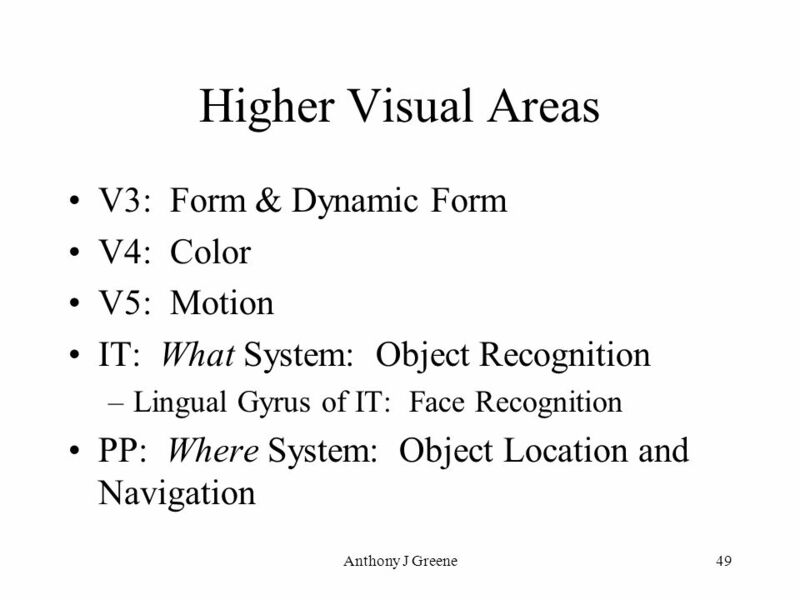 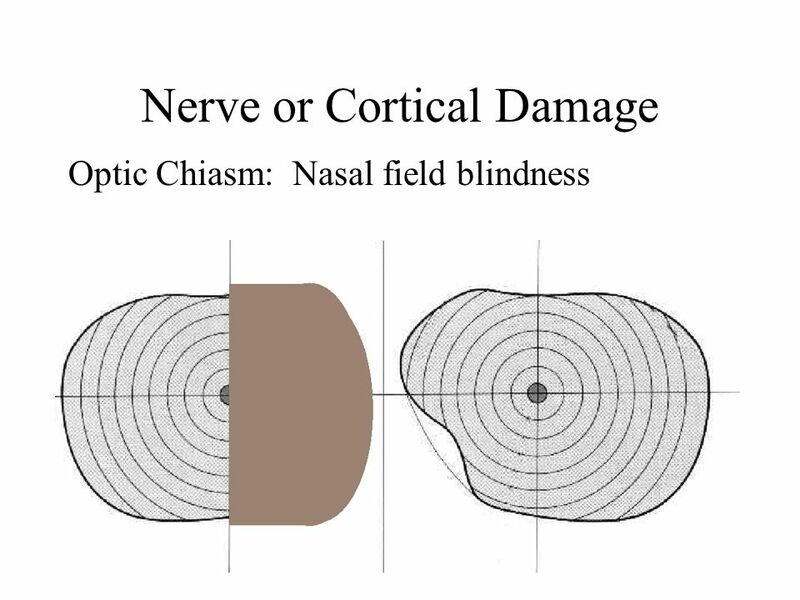 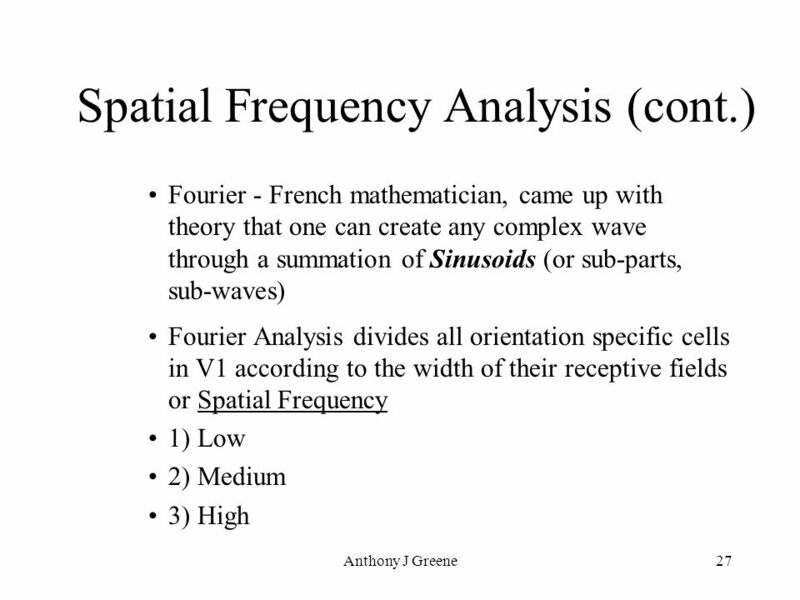 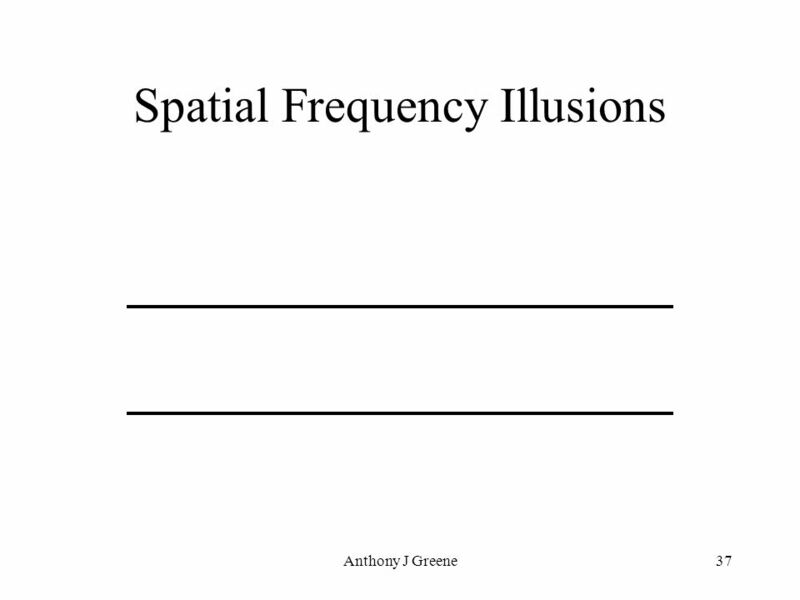 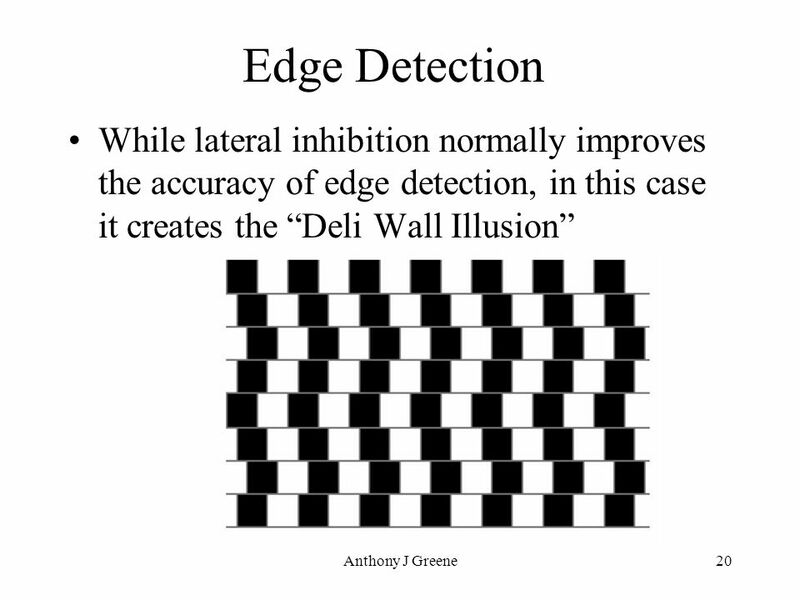 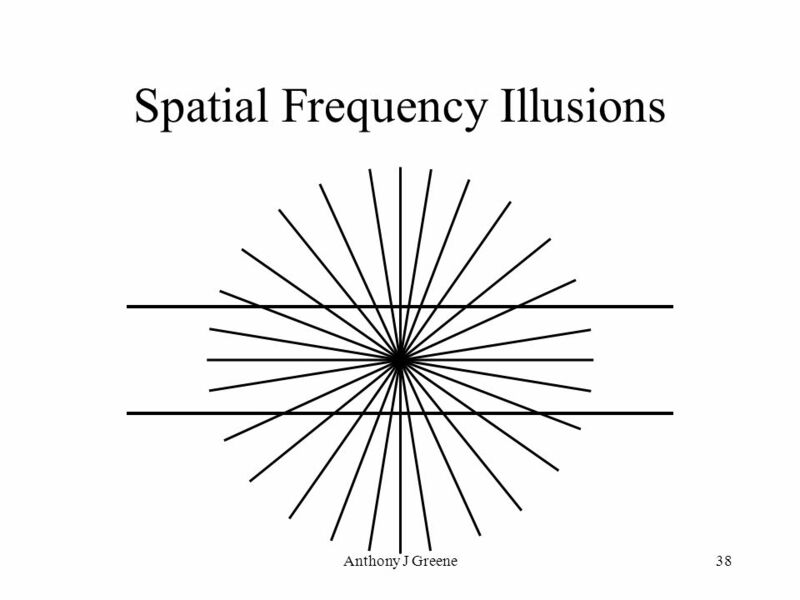 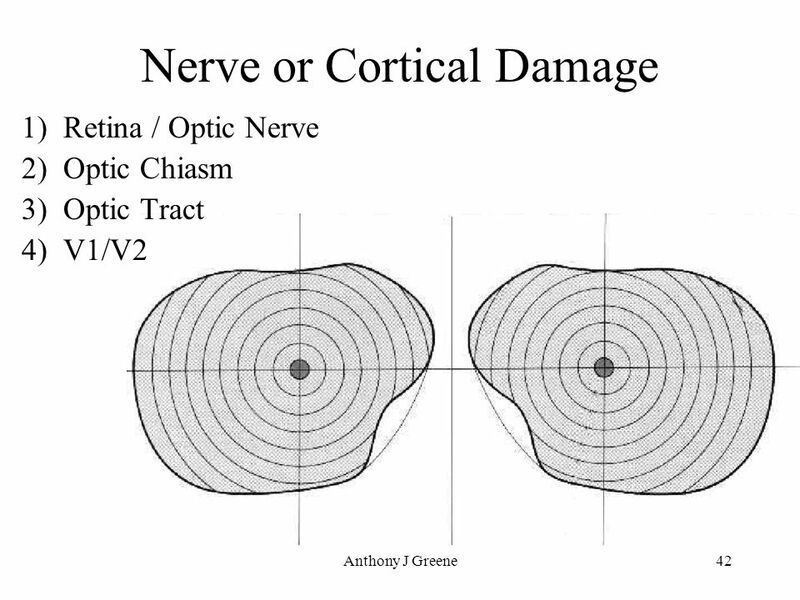 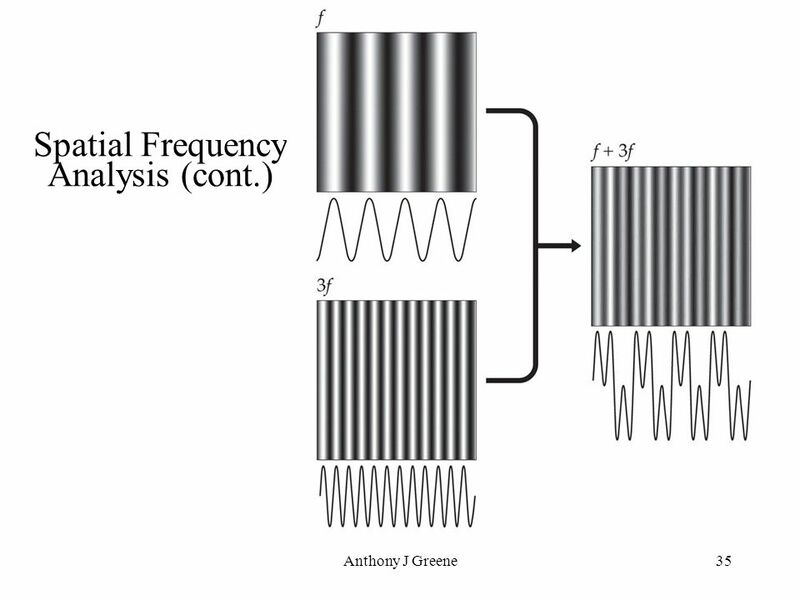 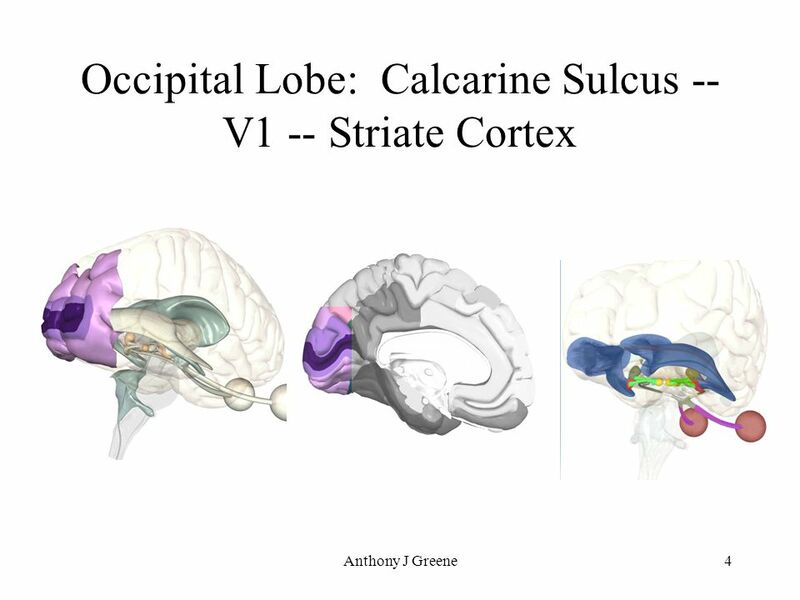 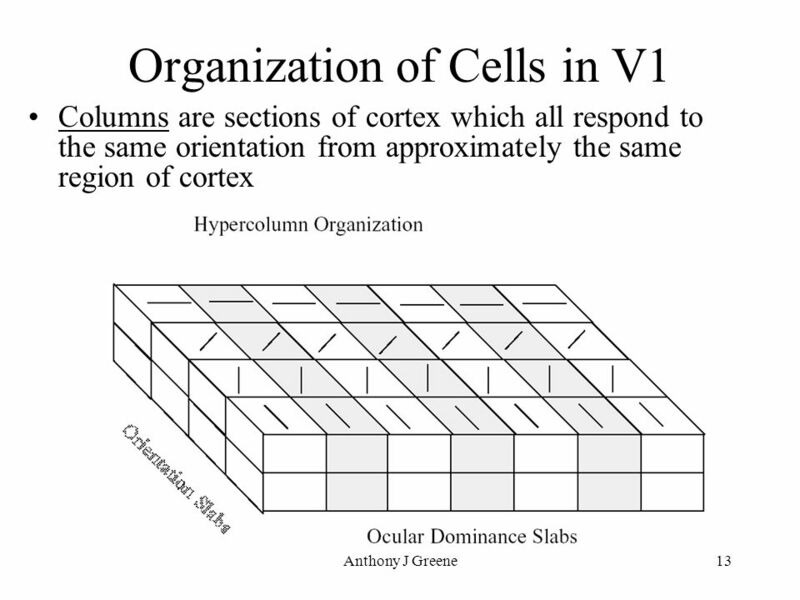 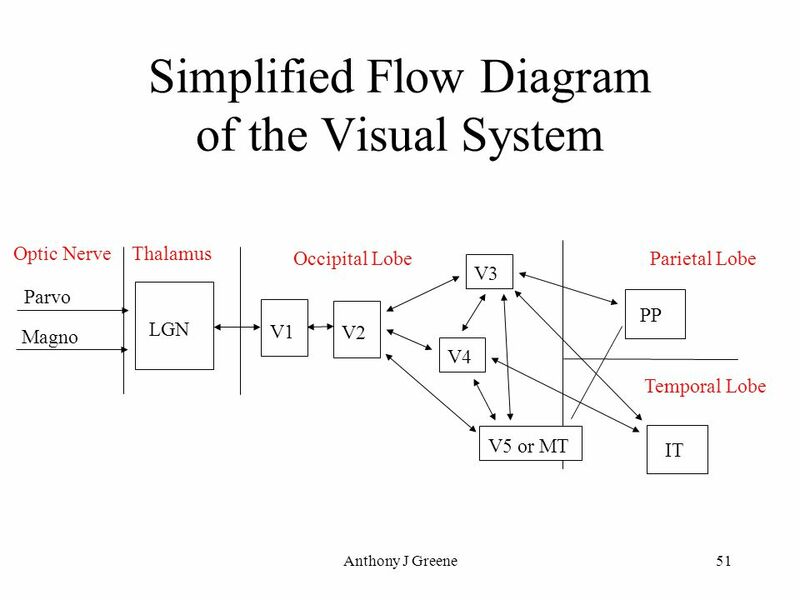 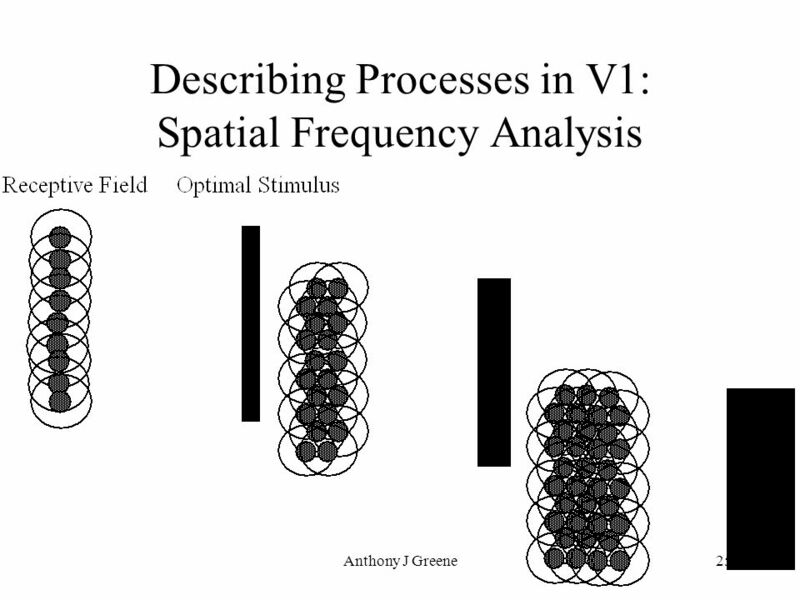 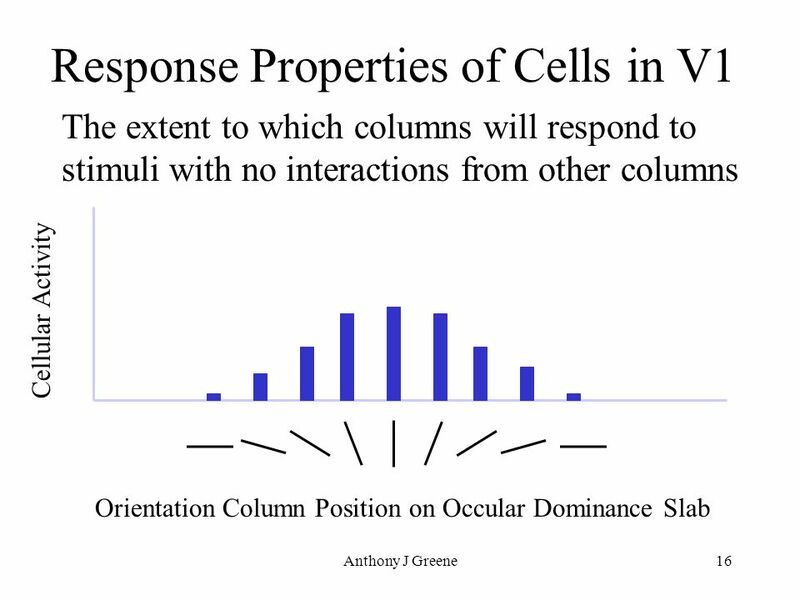 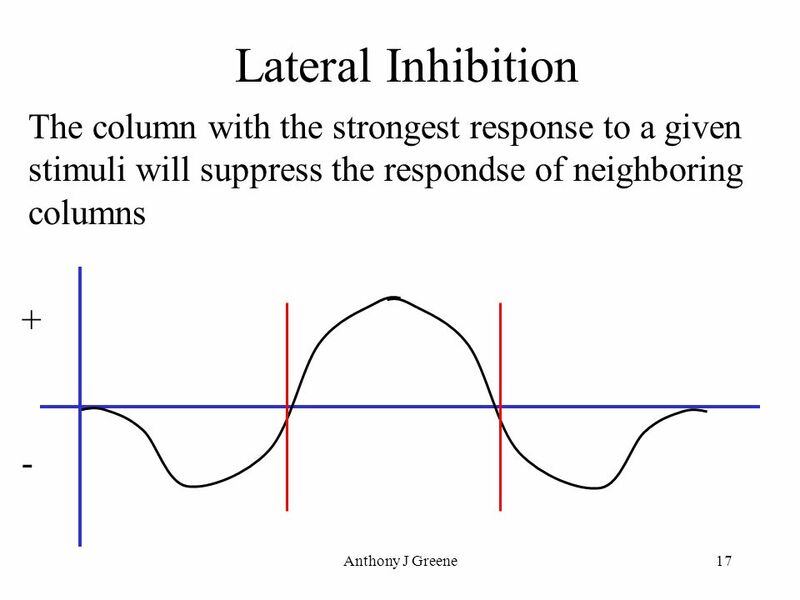 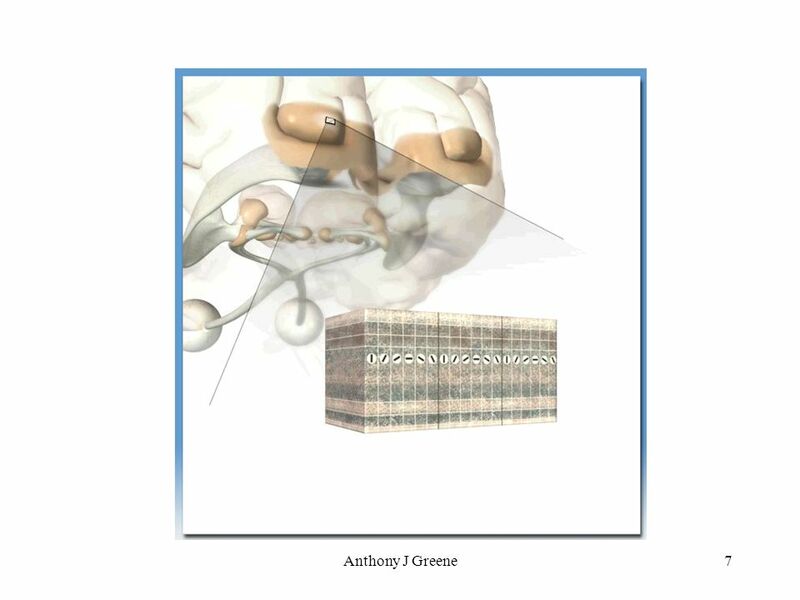 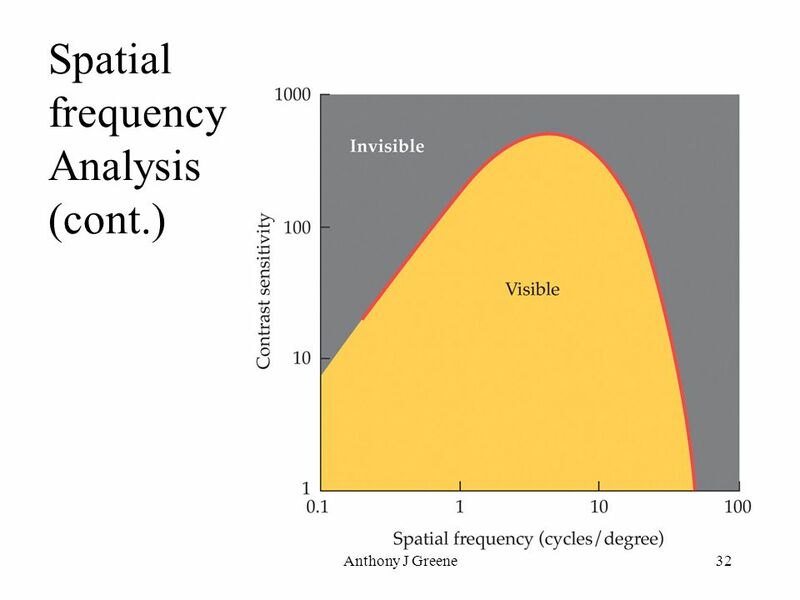 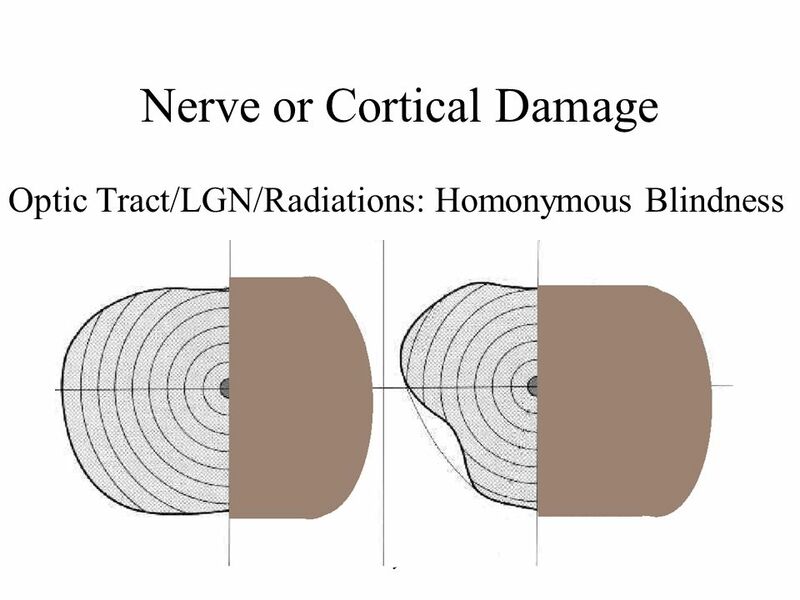 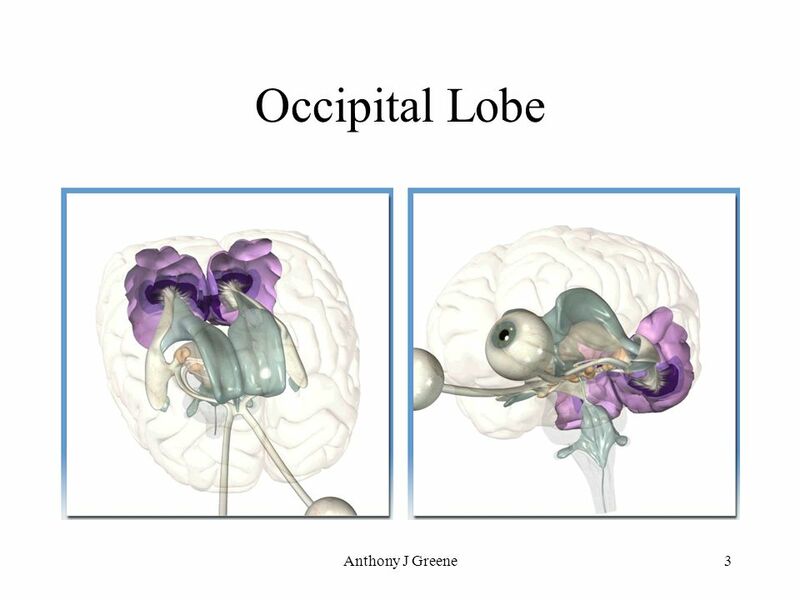 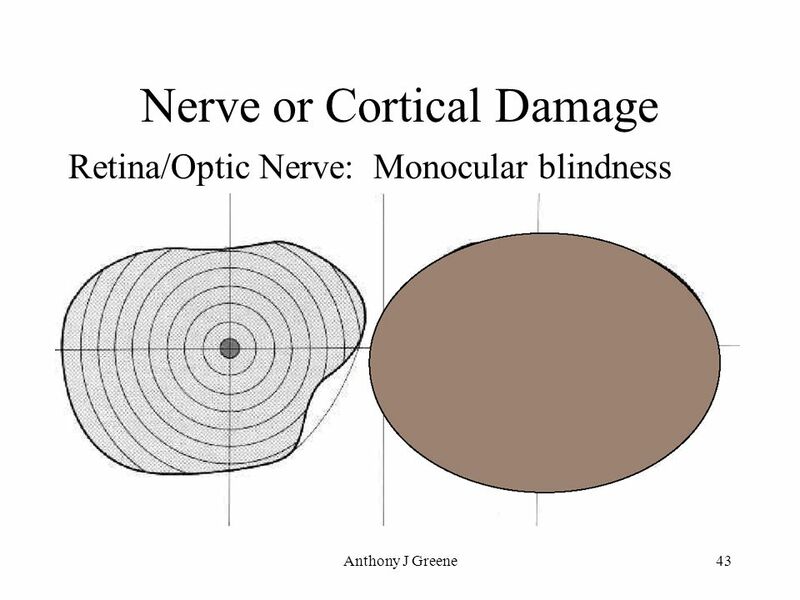 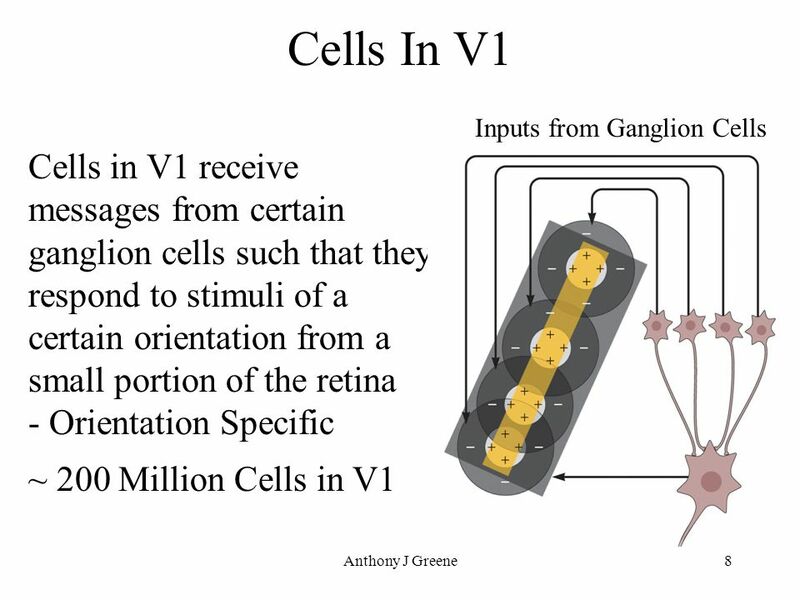 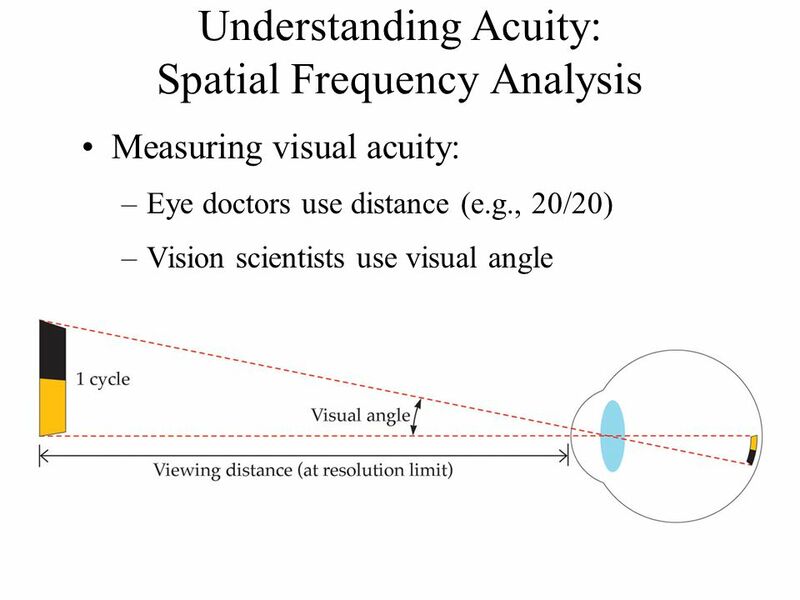 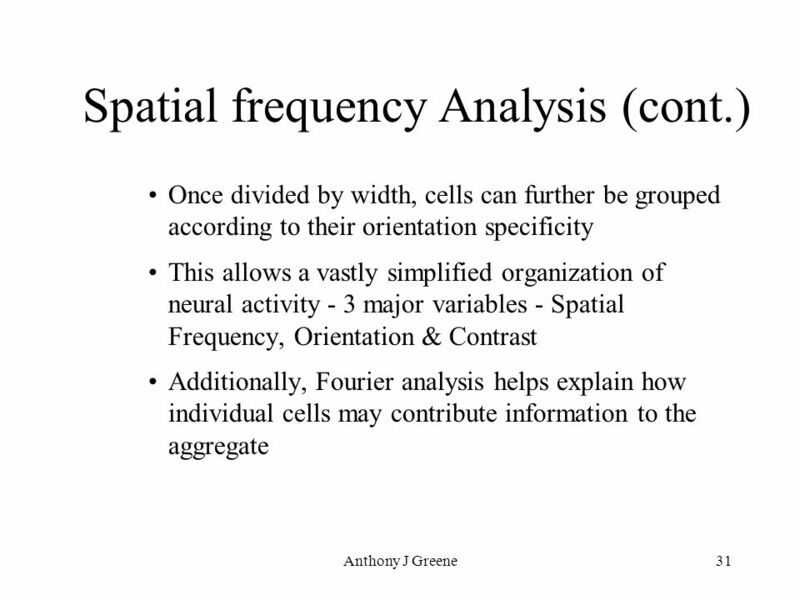 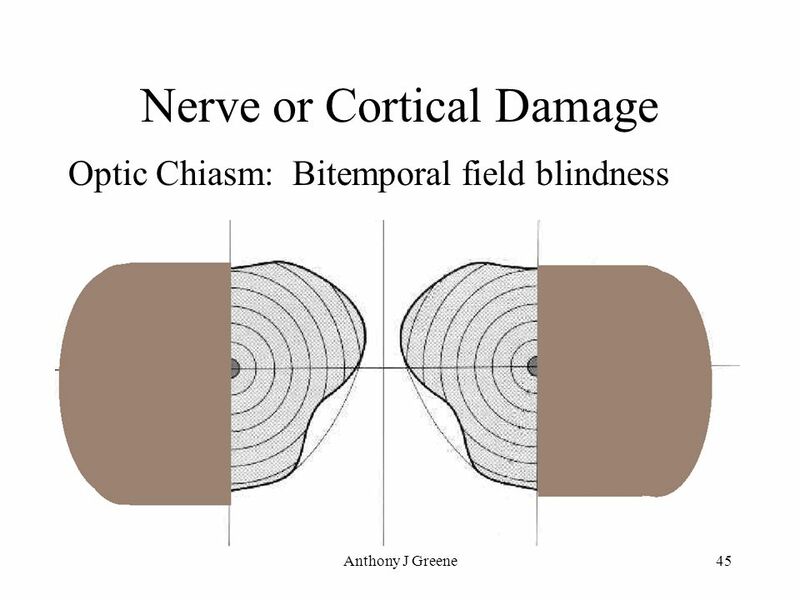 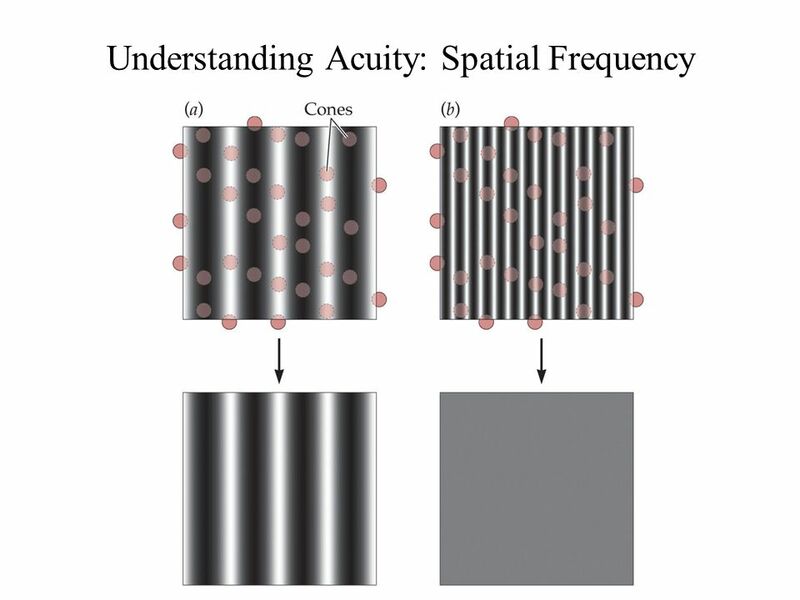 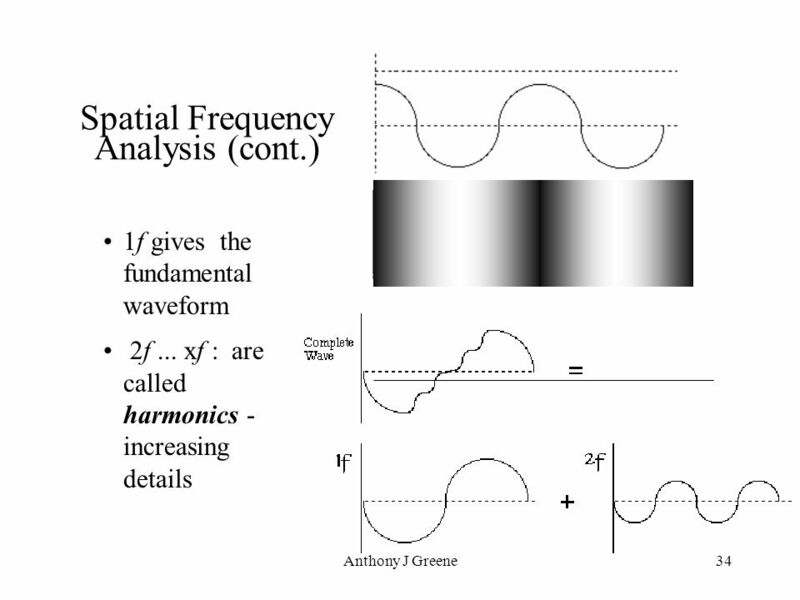 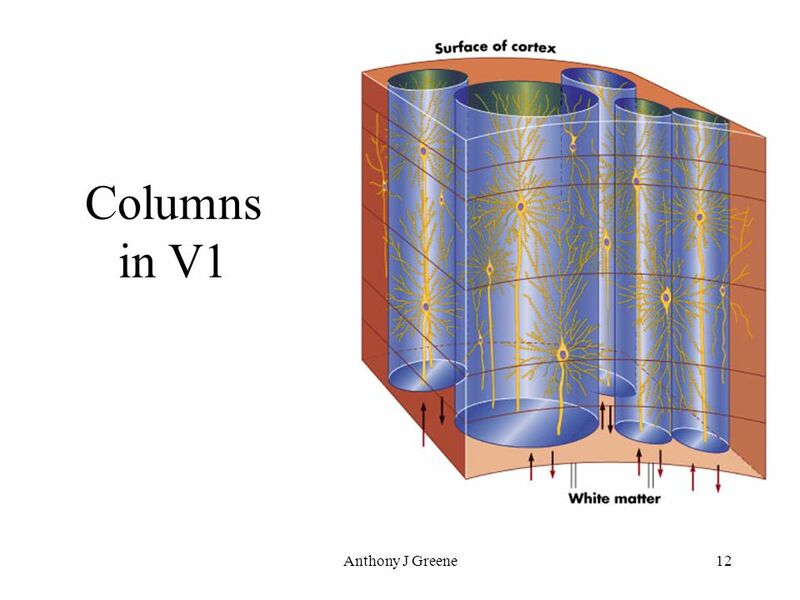 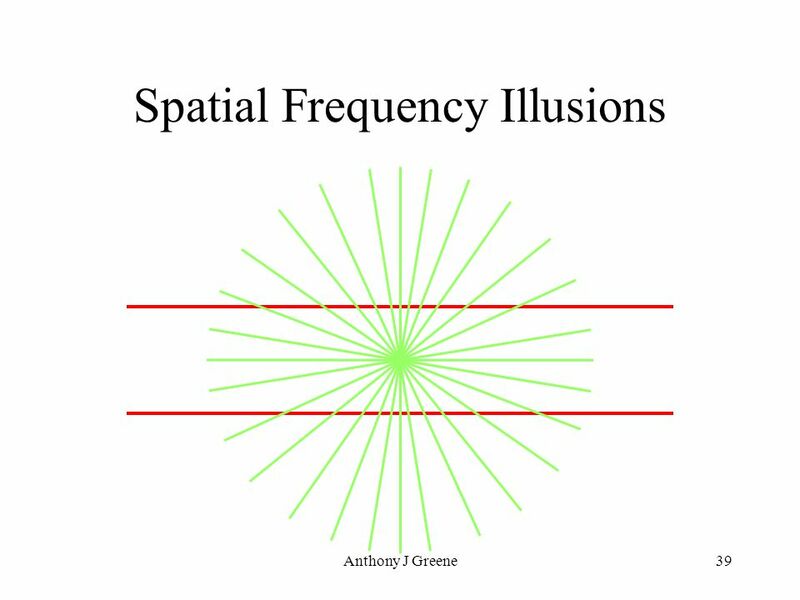 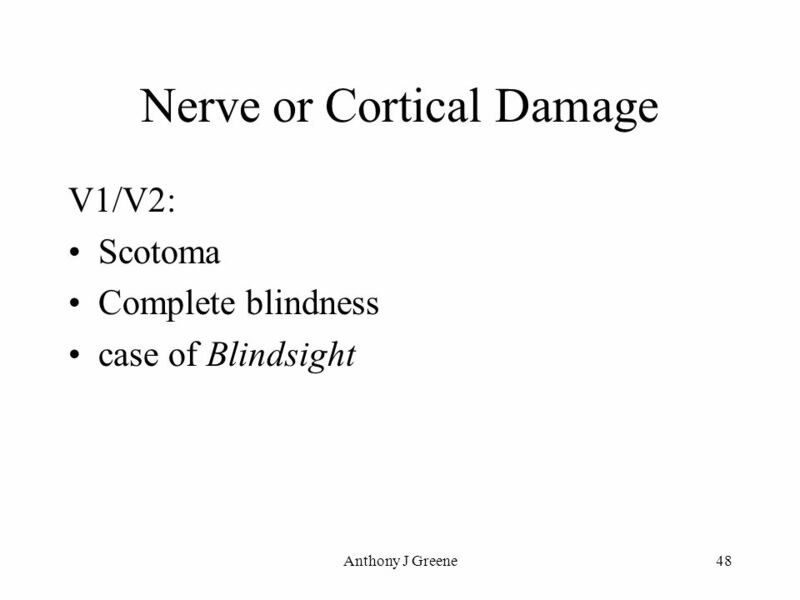 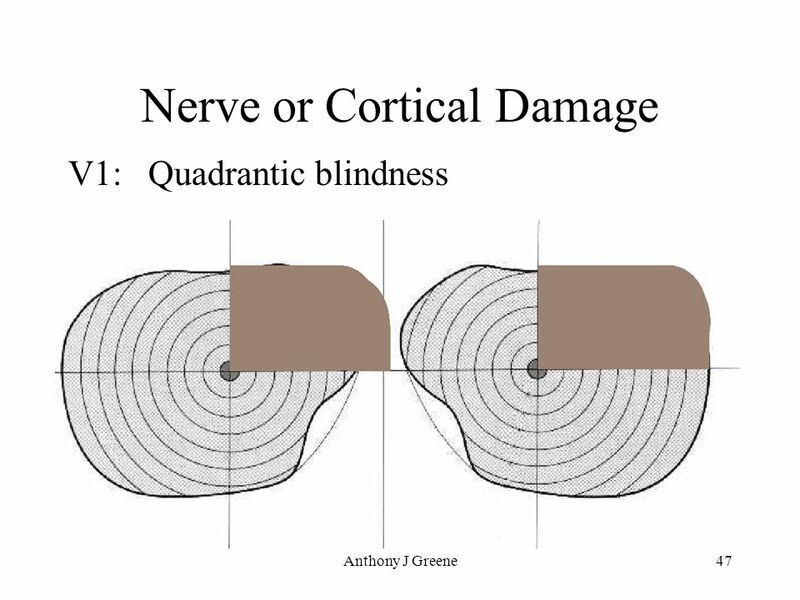 Anthony J Greene2 Central Visual Pathways I.Primary Visual Cortex Receptive Field Columns Hypercolumns II.Spatial Frequency." 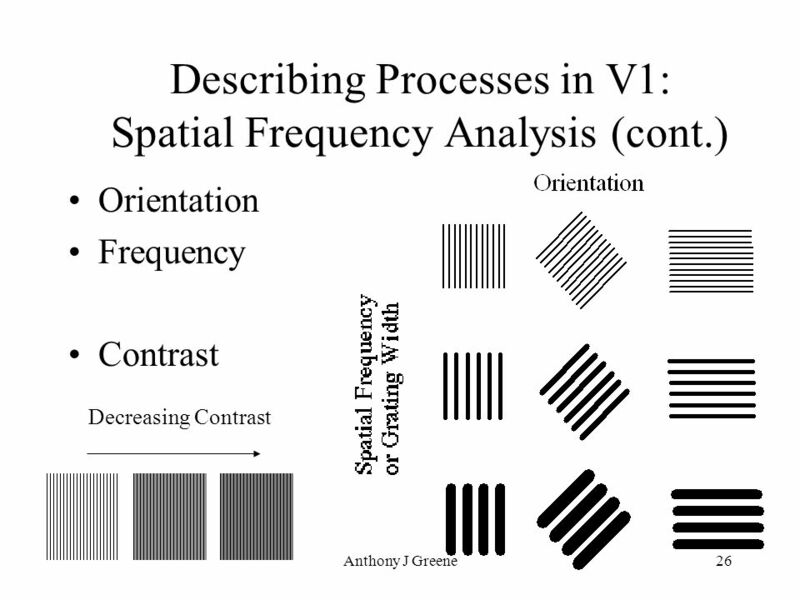 Erin Berrisford, Lisa Fenske, Adam Justin, Sara Duxbury, Joe Tuzinski, & Ryan Mastellar. 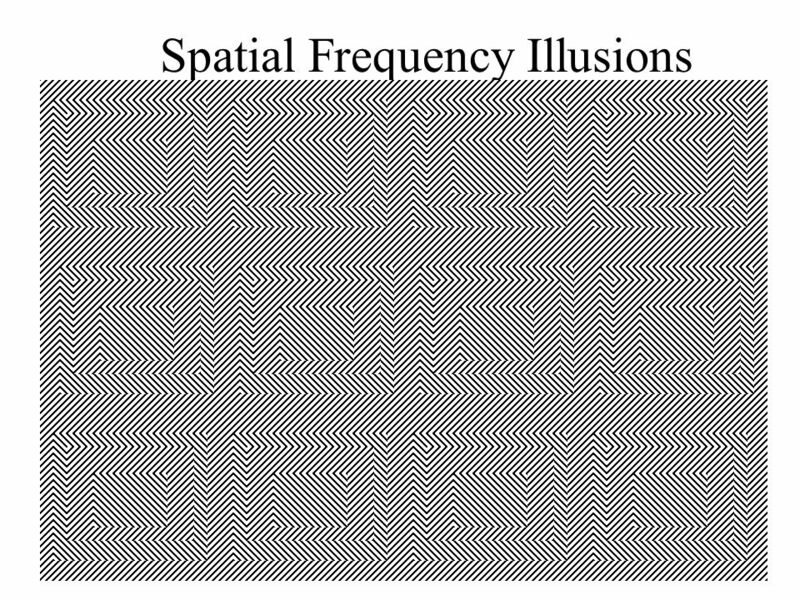 Read this article for Friday Oct 21! 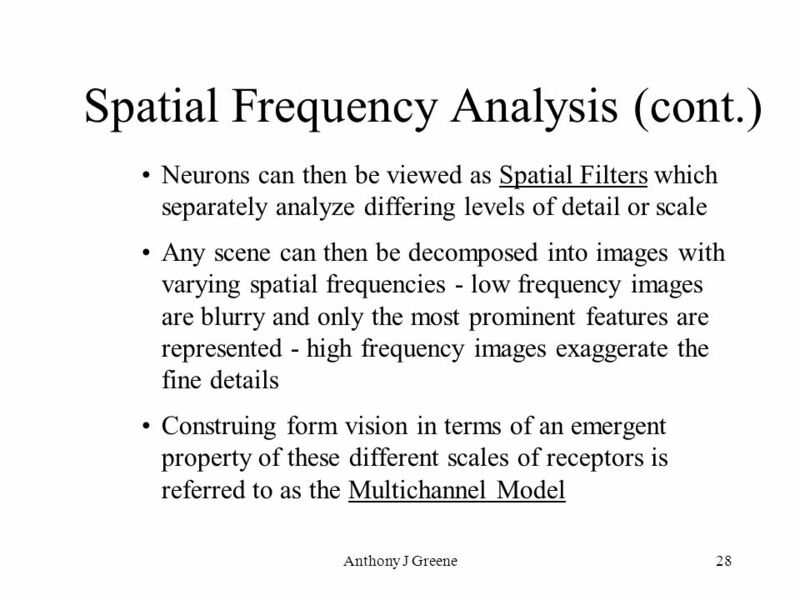 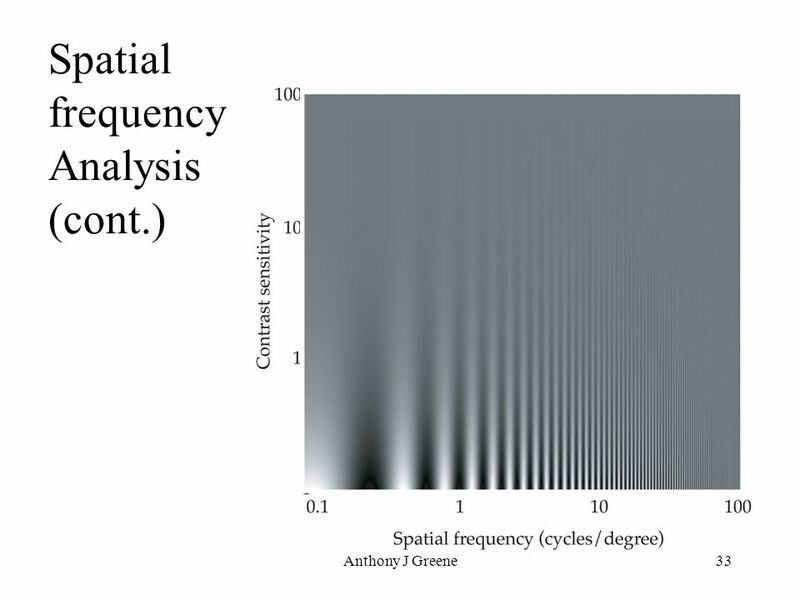 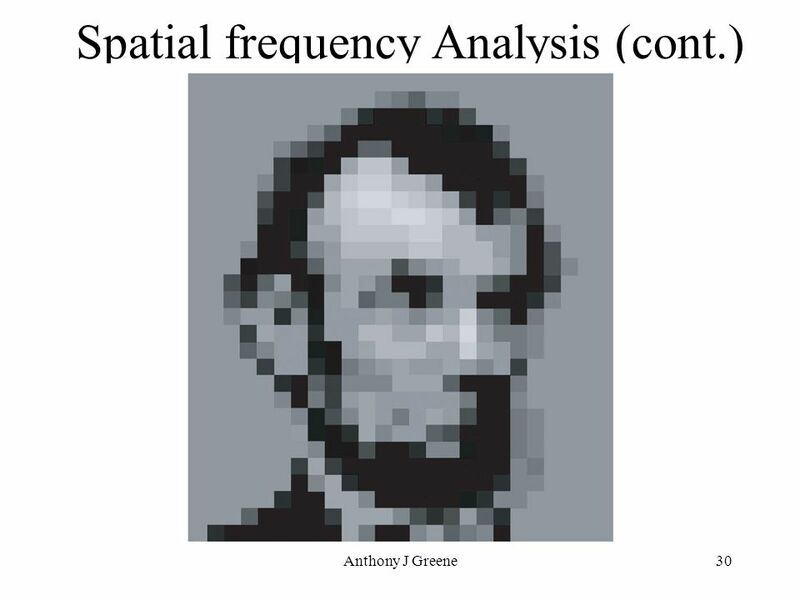 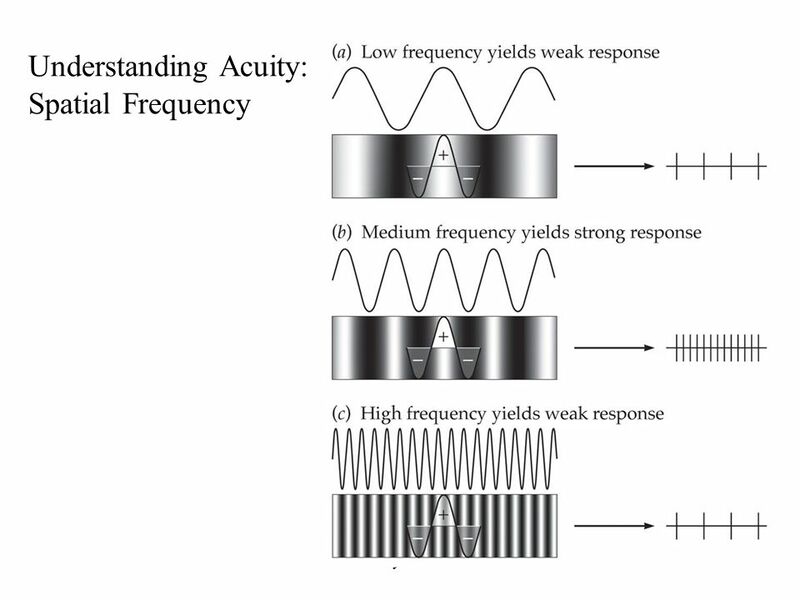 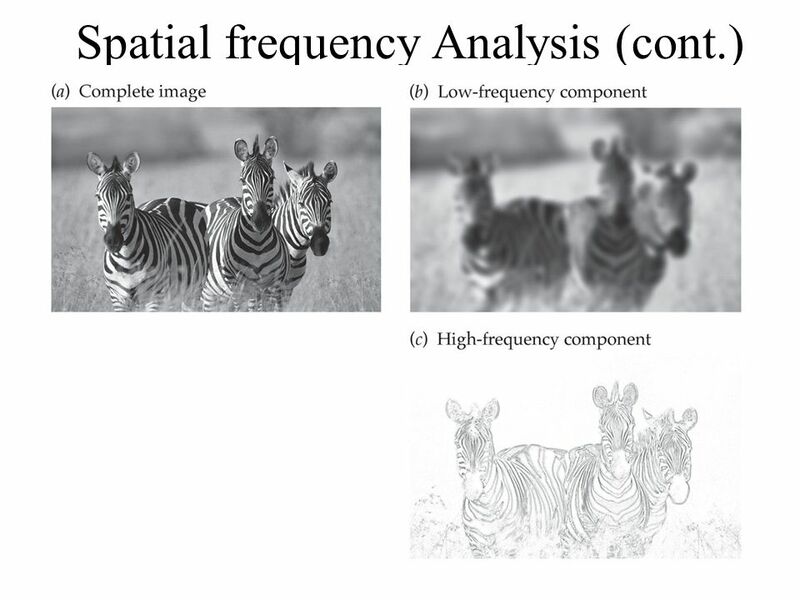 Trends in Neuroscience (2000) 23, Hint #1: there are at least 3 ways of getting this article Hint #2: none.